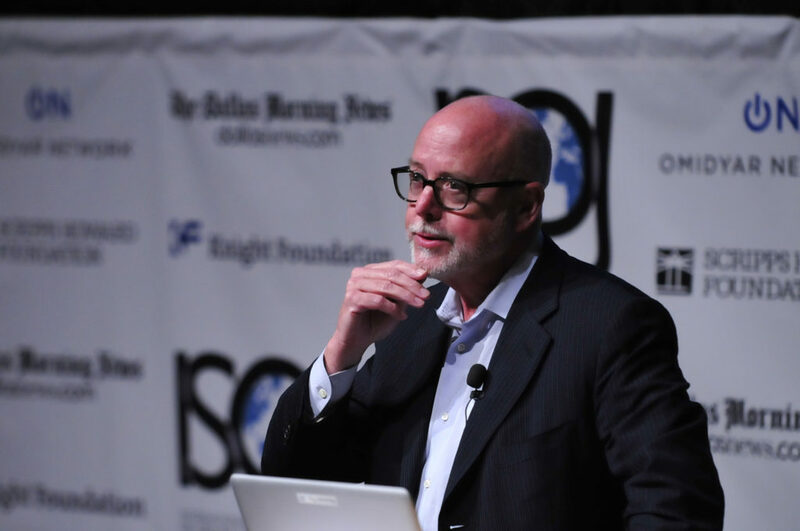 The 14th International Symposium of Online Journalism, which kicked off Friday, featured Roger Black of Roger Black Studios, Inc. in New York, who chaired a panel focused on responsive design in digital platforms. Black was joined by Trei Bundett of Vox Media, Miranda Mulligan of the Northwestern University Knight Lab, Michael Donohoe of Quartz, and Travis Swicegood of the Texas Tribune. While the panel focused on various aspects of responsive design and its difficulties, a surrounding theme of the talk was “know your user.” To make all media platforms capable and innovative, the first and most important step is to know your audience, an aspect all the panelists agreed on. ISOJ 2013: Miranda Mullligan’s presentation during “Responsive Design and Other Trends in Digital Platforms Architecture and Design” panel from Knight Center on Vimeo. Michael Donohoe, product-engineering director at Quartz, and former senior product-engineer at The New York Times, spoke about prioritizing content and making something complimentary to it. He also mentioned advertisements and the concern with their fixed width and height becoming a problem for responsive design. Donohue suggested flexible widths over heights, and spoke highly of HTML5. At one point, he said how “advertisers think very highly of their ads and everyone else is kind of like….” The lingering of the unfinished sentence received some laughter from the crowd. Travis Swicegood, director of technology at the Texas Tribune, talked about the endless possibilities for innovation in responsive design. Besides the three main models current news sites follow – curation, blog style, and a hybrid of the two – he suggested using metric to interact with the website, focusing on what the users are reading, what they’re sharing, and what’s going on in “the broader ecosystem outside of your website.” Swicegood’s key point was that the users must be taken into account. In order to create a responsive site that works for your readers, you must know who they are, where they are, and what they want – an ideology the entire panel agreed on.